Do you want to automate your incoming goods processes and optimize the flow of goods? 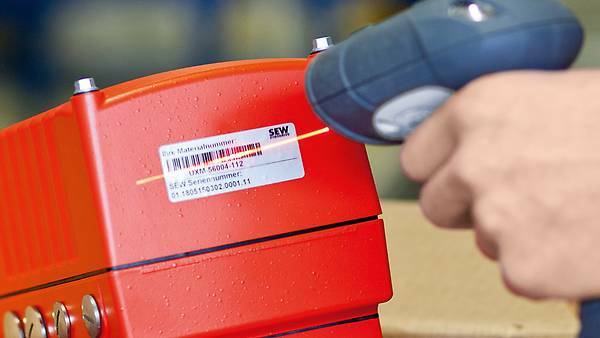 Our DriveTag barcode label helps you to make the material flow and startup processes more efficient. In addition to supplying products, we support you in optimizing your business processes. Our DriveTag component generates real added value for you when it comes to flow of materials and delivery. This is because these barcode labels help to automate incoming goods processes and to optimize the internal flow of materials. DriveTags are functional barcodes with data defined by you containing, for example, the SEW serial number, your material number or your project number. They make it possible to identify drives simply and electronically as a result. All deliveries and their internal further processing can be controlled efficiently using DriveTag. This means that the time and effort needed in your company's incoming goods department is reduced and the internal material flow becomes more dynamic. We are happy to fit DriveTags to your drives and packaging units on request. All easy and straightforward technically speaking! Various standard variants with fixed options are available to you. We are happy to fit various barcodes to these in accordance with your needs. You can use the plain text recorded for drive identification even without a scanner. Do you already know our "Product ID plus" app? The Product ID plus App lets you scan the QR code on the drive tag label quickly and easily, and makes all the information relating to your product directly available on your smartphone. The inconvenient entry of serial numbers is a thing of the past. Convince yourself of the advantages of the "Product ID plus" app. of products and deliveries with the aid of a reading device. with functional labels containing printed barcode and plain text. because no manual entries are involved. due to automated incoming goods processes and more efficiently structured material flow. Simplify processes across the entire value chain and optimize process costs from engineering to maintenance. How? 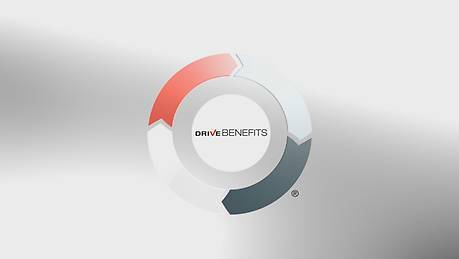 Find out more about the process solutions from DriveBenefits.